Get Employee Pricing Event Savings* on vacation packages to the Caribbean, Mexico, South & Central America with Air Canada Vacations!• Deals only an insider can get! 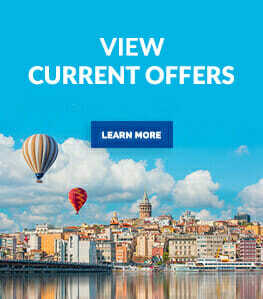 • Destinations Across 5 Continents! All 2019 guided vacations of 6 days or longer from Trafalgar’s 2019 Europe & Britain, USA & Canada, Australia & New Zealand, South America and Asia. CWT Vacation Club members receive up to $75 USD onboard credit per couple on select ships and sail dates. Receive $300 USD per stateroom onboard credit on select 2019 river cruise sailings.